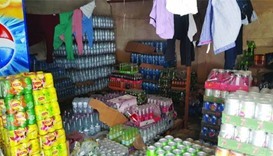 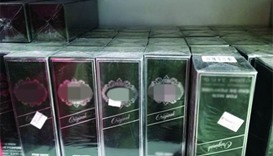 The Ministry of Economy and Commerce has conducted a surprise inspection of commercial outlets at the Industrial Area and Old Airport to ensure their compliance with the stipulations of Law No 8 of 2008. 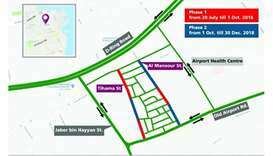 Traffic congestion and crowding at the Old Airport Commercial Street were addressed by the Central Municipal Council (CMC) at its meeting on Tuesday. 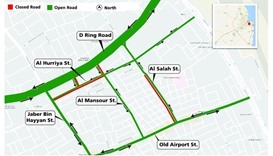 Al Hurriya and Al Salah streets of the Old Airport area will be partially closed from November 24 until the end of May next year. 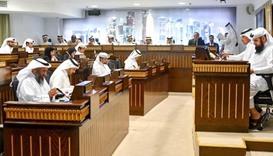 Doha Municipality has issued six decisions to close different food establishments for violating food safety regulations. 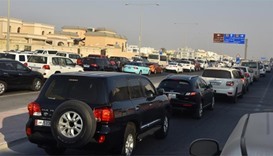 Some parts of Doha witnessed heavy traffic on Sunday as thousands of children returned to school, but many motorists said they did not face much difficulty in general as the situation was “well under control”.